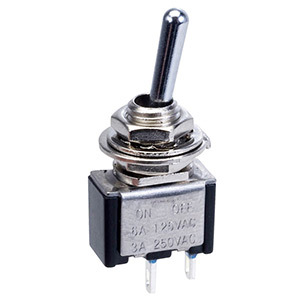 Range of miniature toggle switches sourced from industrial leading manufacturers including SCI, Salecom. The switches are suitable for panel mounting applications and require a 6mm diameter cut-out. Available in a range of contact configurations and suitable for many applications including commercial and domestic.